VU MAG: ŚWIATŁO JEST NAJWAŻNIEJSZE! VU MAG: LIGHT IS THE MOST IMPORTANT! Between the 10 and 12 of October the 4th edition of Light. Move. Festival. 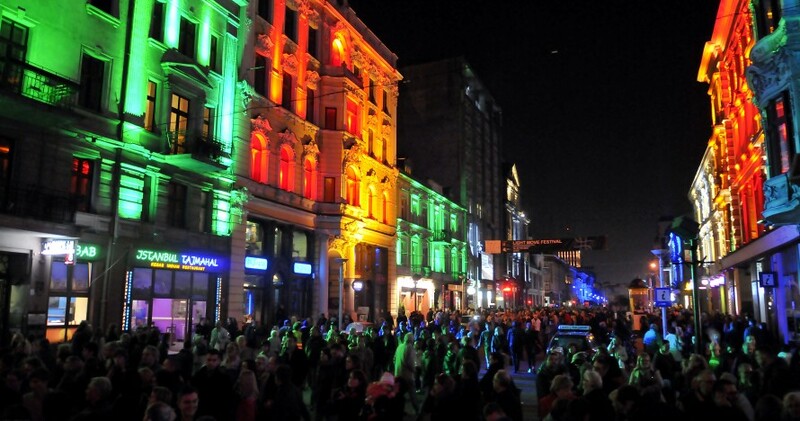 Łódź has taken place – one of the largests open air events in Poland, organized by Lux Pro Monumentis Foundation. 40 illuminated tenement houses, 12 projections of large format including 3D and 2D mapping projections and 15 artistic installations was seen by around 400 000 of auditors from Poland and all over the world. Unusual arrangements of music concerts were a kind of cremme de la cremme of the festival. The jazz concert “In The Light of Windows… Michał Urbaniak & Band: Jazz is Freedom” was an extremely popular part of the event. Creative illuminations and installations were shown by the artists from Łódź, Poland, and guests from Germany, Great Britain, France and Hungary. Light Move Festival was the great success again, and have proved that the new audiovisual technologies can recover the beauty of postindustrial city.